A young Indian boy carves a little canoe with a figure inside and names him Paddle-to-the-Sea. 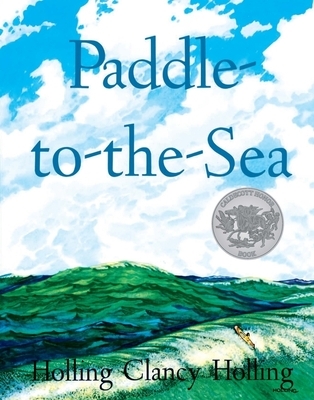 Paddle's journey, in text and pictures, through the Great Lakes to the Atlantic Ocean provides an excellent geographic and historical picture of the region. Born in Jackson County, Michigan, in 1900, Holling Clancy Holling graduated from the Art Institute of Chicago in 1923. He then worked in a taxidermy department of the Field Museum of Natural History in Chicago and spent time working in anthropology under Dr. Ralph Linton. During this period, he married Lucille Webster and within a year of their marriage accepted a position as art instructor on the first University World Cruise, sponsored by New York University. For many years, Holling C. Holling dedicated much of his time and interest to making books for children. Much of the material he used was known to him first hand, and his wife, Lucille, worked with him on many of the illustrations.